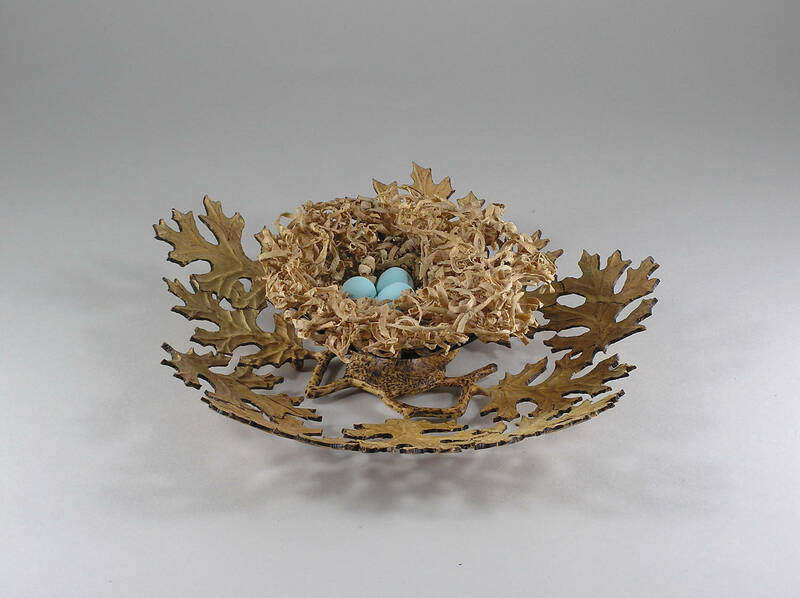 I call this piece "Cradle of Life" because it depicts a birds nest in a tree. 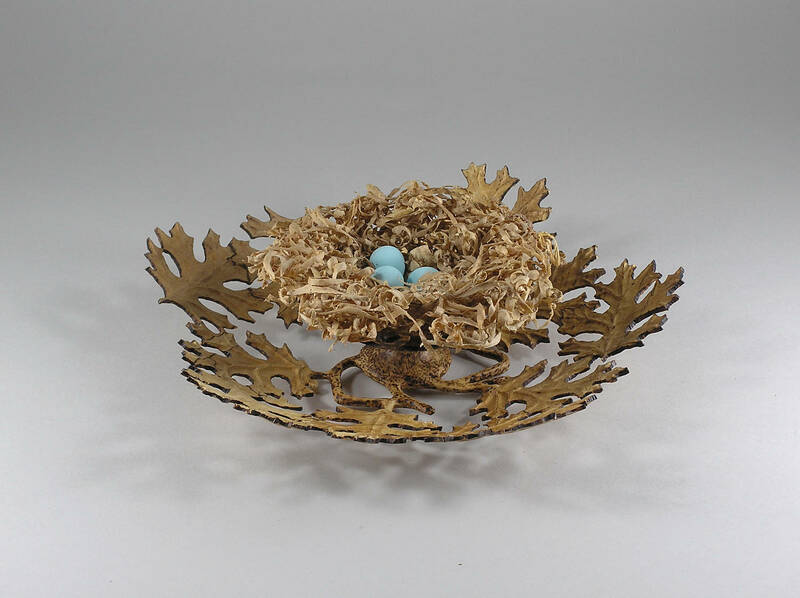 The nest and leaves were turned and carved from one solid piece of maple. 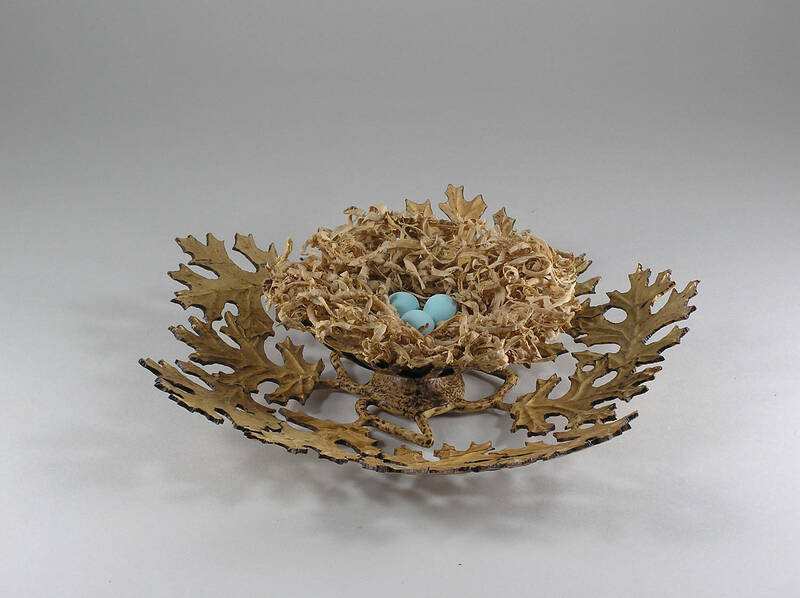 The nest is made from the shavings that came from the turning. 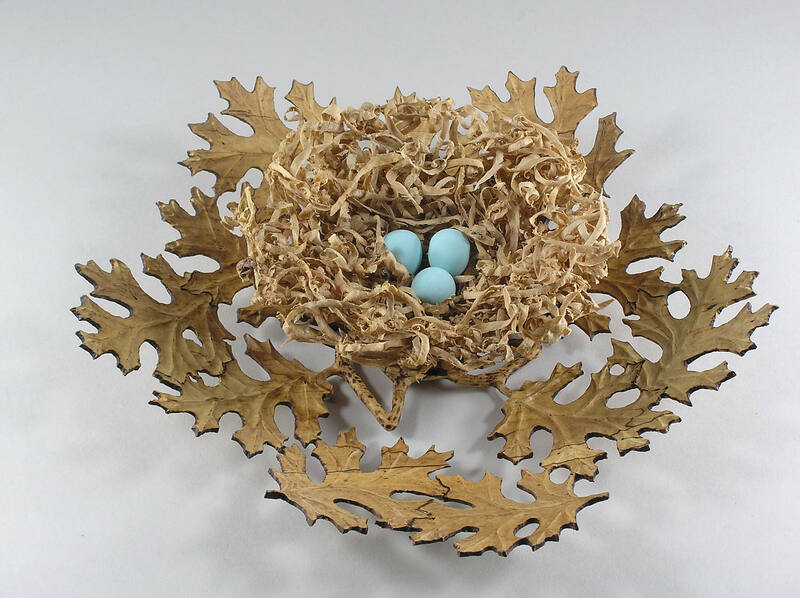 The eggs were turned separately from holly wood and then painted with blue acrylic paint to resemble robin's eggs. 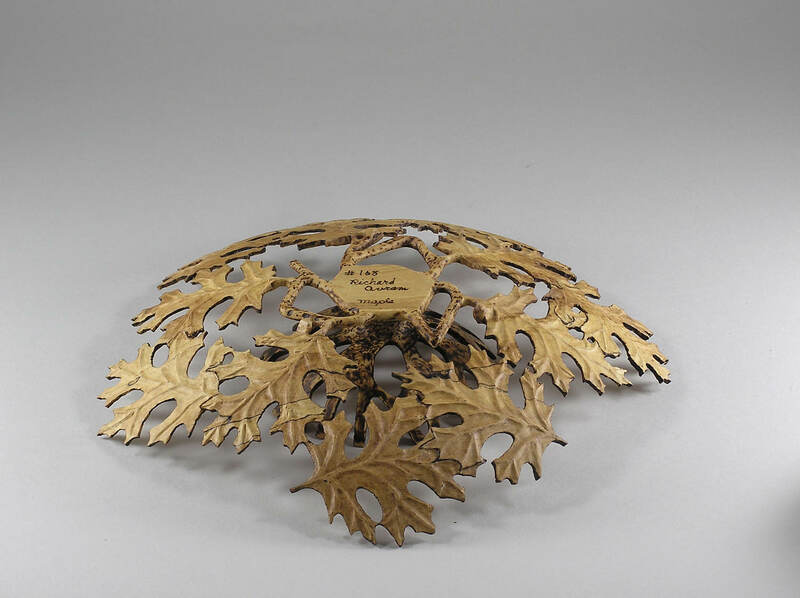 The leaves have a three dimensional look because they were carved away to leave the veins raised just as you would see in real leaves. Let me tell you, that was very time consuming and difficult! The whole piece is 9 1/2 inches across by 3 inches tall and it was finished with clear acrylic to keep everything just as natural looking as possible. The whole piece weighs only 2.4 ounces!